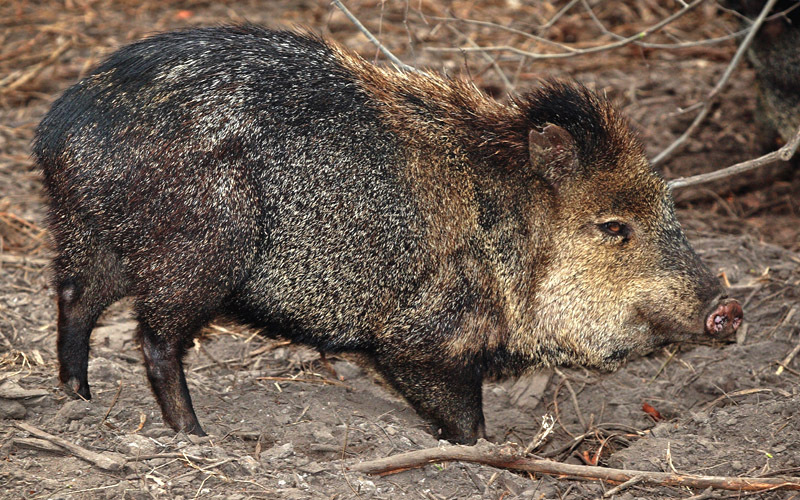 The Collared Peccary is a mammal found across North, Central and South America. The only Caribbean island where it is native is Trinidad. They are not in the same family or order as pigs. Their coat is grayish black throughout except for yellowish cheeks and whitish bristles forming a “collar” extending over the shoulders and throat. They are very vocal and social, living in groups of 5 to 15 animals. The Collared Peccary will defend itself with its tusks which grow sharper every time it opens and closes its mouth. On average they weigh between 25kg and 40kg but they are very good runners and can run up to 21 miles per hour.